Acharya Tenzing Wangpo | Bodhi Path Europe e.V. Born 1990 into a Buddhist family in India, Tenzing Wangpo was enrolled in a monastery when he was 7 years old. 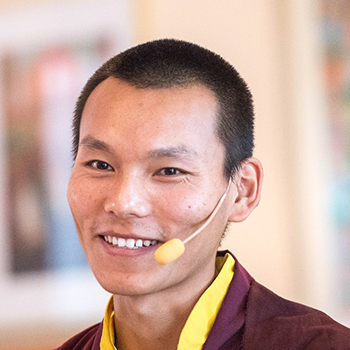 He learned rituals and Dharma texts of traditional Tibetan Buddhism.When he was 12 years old he joined the Diwakar Buddhist Academy in Kalimpong where he studied Indo-Tibetan Buddhist philosophy and literature as well as English and Hindi languages for 8 years. Since he graduated as Acharya, highly learned scholar in Buddhist studies, he has been giving teachings in India and Europe.